Big or small companies rely greatly on effective mode of communications and handling business process along with building a healthy relationship with clients. The above are on the ground level. When we dig in, we may find many more hurdles from one stage to another. Maple CRM Software has been designed to reduce the complications of the workflow. It can manage the entire organization process in an orderly manner with great ease. The solution ensures to improve the productivity and quality with result oriented solutions for all the problems. Maple lets you to configure the entire process in a structured and systematic way allowing the consultants to work on their activities smoothly. Maple CRM can integrate to your websites or different landing pages and allow enquiries to directly flow into your CRM eliminating all the manual work of lead additions. It can also distribute these enquiries to different consultants using round robin method. This would save up majority of the resources time by making things system driven. Lead Management also supports Lead Scoring allowing you to prioritize and target the potential leads with score points. These scores are automatically updated based on the business structure configured. Further to this, the CRM lets you to have your own lead cycles defined so that the counsellors or sales team can take care of the follow ups and convert them accordingly. The entire process of applicants can be taken care in Maple CRM in a streamlined manner using the Workflow Management module. The module offers to have every single task for various countries to be pre-defined and structured initially and lets the consultants take care of their work activities as per the defined model. This also ensures that every designated work gets completed on time and as per the requirement. Every document that is required to be collected can be mapped to the Task or the Work item during which it needs to be collected. This would ensure that all the mandate documents are collected and is processed accordingly. With the help of Maple CRM system, the consultants can take care of the complete application filing, processing and visa submission activities at one place. The entire immigration process can be configured in the CRM with respect to the flows of different countries. One of the most tedious job is getting all your leads added one by one into the CRM. Maple CRM can help you in getting this automatically imported through web integrations. The second most important time consuming job is client interactions, which most obviously happens over calls or emails. The smarter approach here would be to trigger automations from CRM. The emails can be sent automatically to inform or share time updates. Same with SMS, the system can send quick short message notifications to clients via SMS. These triggers are going to save resources time majorly . Interacting and updating applicants about their application status is far more easier and professional using Maple CRM’s email and SMS solutions. This also offers to have email and sms templates pre-defined and used anytime instantly. Keep tab on progress of each of the work items allocated and also on the consultants on effectiveness and work closures. The system lets you monitor the entire process and also lets you know whether the timelines are met or has been overshot. Any approvals or time extensions can be routed through managers and that would ensure that everything is under the administration scanner. What does a CRM promise to offer for a Study Abroad or Education Consultants? We are not just talking about storing databases of contacts and to use them to do cold calling or send bulk emails. We are talking about potential CRM that can build value addition to businesses and help in increasing productivity and profitability. Let us take a normal scenario where counselors get walk-ins and everyday enquiries that needs to be dealt with. Tens and hundreds of enquiries, stored in excel and following up with them and keeping up with priority cases is definitely a nightmare. So a basic CRM can ofcourse help in storing, managing these leads, timely notifications on follow up and probably keeping track of the lead progress. That’s all right. I mean that is what many CRMs promise to help in managing daily work activities. If you are thinking CRM is just the above, then you are wrong. CRM is vast and it can do much more than you can imagine. When you say daily work activities of an education counselor or an expert, it involves collecting the lead details, converting them into a potential student, complete registration, conducting interviews, get the fund approvals, take care of medicals, submission and approval of visas, etc. and ofcourse these are handled by different subject matter experts. How are these taken care in a CRM? Not to forget the managers who want to keep track of these operations, the timelines on these and managing the entire process and ensuring that everything is getting done and is running smoothly on time. Well, it sounds like you need to build a custom software to take care of all these processes? That’s the only option is what you think! What you need is not to waste time, resources and money in building a super fantastic huge software of your own! But an intelligent CRM that can do all the work for you. What can Maple CRM do? With hundreds of applications a year, you can easily organize your tasks and manage your growing leads in one CRM. Be it multiple teams or branches, you can establish a streamlined access and an effective communication between the experts in Maple CRM. The solution offers lead to student conversion, maintaining separate channels for lead and student process. Lead work flow and follow-up. Maple CRM can build the complete flow for Education process in regards to the various countries. The counselors and experts can be designated with the work item as per the flow and will be notified on what needs to be done along with the timelines. This would ensure that there is no manager or administration intervention required for the smooth flow of the process. Automate the workflow with pre-defined triggers that can easily communicate, notify and update the students through email or SMS. These automations can help in sending timely updates to students about their application status, submissions, approvals, etc. Such automations can not only save up the resources time but also adds up professionalism in student interactions. With Maple CRM at your fingertips, it is easy to monitor the entire process and ensure that all the activities are taken care and the timelines are met. Dashboard & Charts are equipped to highlight the key areas where you need to have constant look out. More importantly, you can download various reports on the workflow and the activities as needed in just few seconds. Maple CRM is specialized with end to end solution for Immigration process. The software includes features designed to cover all the business activities of immigration related workflow. Be it a small or large enterprise, Maple CRM can cater to the needs of everyday workflow for Immigration Consultants. The modules cover both on sales and workflow management front giving valuable tools to effectively manage the immigration work process. Automatically acquiring new leads who are willing to immigrate from various sources. Overseas and Study Abroad CRM provides an exclusive interface to store and manage student enquiries with customized fields and enquiry stages like application filed, documented, visa issued, etc. Consultants can easily analyze and manage the opportunities. Attracting new enquiries from various sources and communicating on timely manner with html based designed emailers that can help in promoting and building a healthy relationship with the customer. Maintaining and storing all relevant details to provide better facilities and updates to customers. The solution can help in adding, uploading files, tracking application status, sending applications, etc. Thus, helping in taking care of the necessary steps without a miss. Generate proforma and sales invoices easily and maintain track of the payment details and follow up on the pending payments. Configure automated triggers based on stage changes to notify customer via email or SMS regarding their application status or updates. Maintain professional communication using the CRM automation feature. Monitor the employee performance and team progress on each enquiry. Also, easily analyze how business is progressing and take necessary actions based on that. Easily pull out reports as needed to help your decision making process. With the advent of GST process from July 2017, many organizations have by now made their entire billing process in compliance with the GST. Definitely, there was a lot of scuffle during the initial stages for products and service companies to understand and implement the new GST model. Maple CRM had introduced the GST based Invoice builder during those times which was developed to help organizations of different verticals to easily bill the customers using our system. Maple CRM Invoice builder lets you to generate Proforma and Sales Invoice for Product Companies, Service Companies, etc. Below is a sample GST Invoice for Product Company where each product can vary with different tax rates. Maple CRM offers simplified GST based Invoice Builder where you can configure different flavor based profiles i.e. 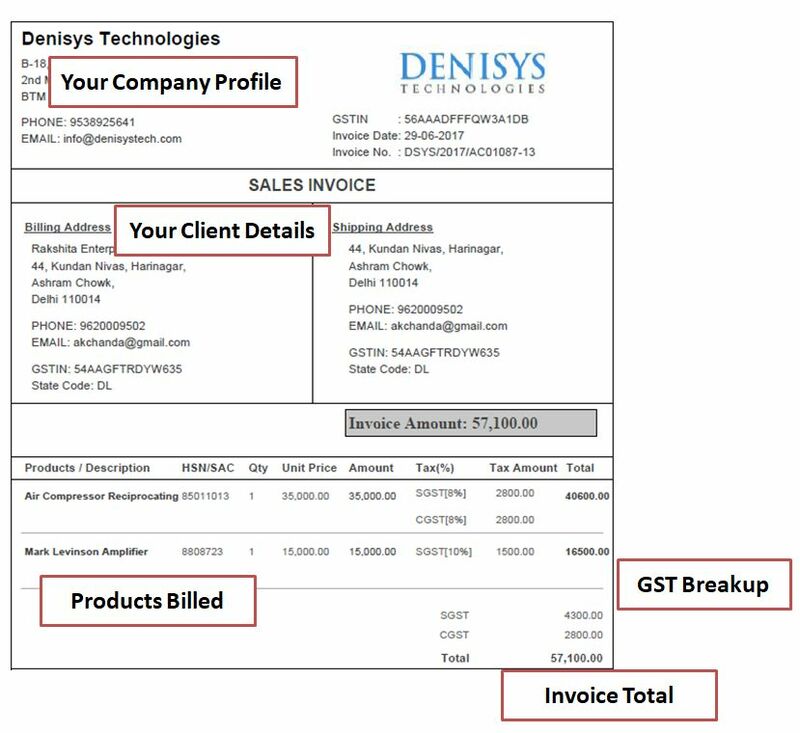 Invoice templates that can be pulled accordingly when generating invoice for your client. Also, all the products can be uploaded under Product Catalogue for instant use. These products can be loaded with technical details of the product, standard unit price, HSN/SAC code and applicable tax rates (CGST, SGST and IGST). While generating invoice for a client with the required product, once can choose what tax rates need to be applied and accordingly update the tax rates. The tax amounts along with the total invoice amount shall be automatically calculated. The generated invoice shall be available in PDF format which can be downloaded or emailed to the client from Maple CRM directly. Below snapshot showcases the Product Addition form where one can enter all the product related details including HSN Code, Unit Price, Applicable tax rates, etc. Based on which, you can bill the customer by just selecting the product in the Invoice generation form. Similarly, GST based invoices can be generated for Service Companies. For Service industry one can apply SAC code instead of HSN. You can easily generate invoices using Maple CRM in GST format in less than a minute. Additionally, Maple CRM offers flavored predefined templates where you can have the PDF Invoice with the GST rates breakup on each product/service or the total GST calculation. Companies who do not fall under the GST model can opt for No GST template that will not include any of the GST details on it. This way, Maple CRM lets you to easily customize your business billing process as needed. Check this video to understand more on Maple CRM Quotation Builder with GST. As a small business owner, you may have planned to accomplish many things each day but the limited time doesn’t really help to finish what is planned. So it is really necessary for you to find ways to make time and also in streamlining how these things can be done. Here are some tips to help you improve productivity for you & your team. This helps in focusing on the really important items on your to-do list. Also, the other items can be allocated to your team members so that your time can be effectively used for the important ones than just everything. Ensure to segregate your enquiries in different ways so that you can easily priortize your leads and work on them for better conversion. Passing notes & emails for delegating items and then remembering to follow up and track are the old ways. Using CRM software, allocate as well as track team activities. Many software solutions like Sales Automation, CRM Software, etc come up with automation features that can erase your routine & administrative tasks helping you and your team to be more effective. Explore such options while subscribing for software solutions. Your team needs constant attention and tracking so that they can modify their process for better deliverability and also for you to monitor their performance. Ensure to track the business activities on a timely manner and take corrective measures wherever needed. The sales process need not be complicated if you have the right tools to help your team. Many solutions come with Automation and Lead Scoring techniques that can be effective to target leads, nurture them and make sales. Here is a quick video on Lead Scoring Automation tool. Bring Professional approach to Customer Interactions. It is important that every communication with customer is professional and effective. Add great content in the emails and SMS that goes out to customer. Ensure that interactions are reaching the customers at the right time and do not over push multiple emails for promotional purpose. Use email and SMS templates in your software to keep your communicating methods uniform across. Set proper business goals and make your team follow the model to keep up in bringing the sales. You can set targets for each team and individuals and keep track of how things are progressing. If your business works well for upselling, then this is one of the great way to bring more revenue. Ensure that your customer stays happy with your business and can keep returning back to you for more. For this, you would also need to have a good customer management in place. Keep your customers happy so that it can bring better sales in future. How can a CRM software improve productivity for small and medium business? Most often, small & medium businesses have their keen on one thing importantly – generating revenue. But this also means that others areas of the business process is sidelined. You will be surprised to see that spending little time everyday on administrative tasks, planning, arranging, organizing, tracking, etc. can bring efficiency and productivity and ofcourse the increase in profits. 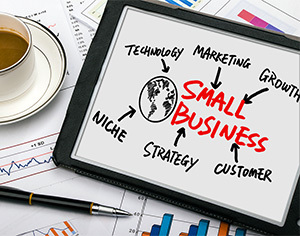 How can small business improve productivity? The answer is CRM Software. Many of them assume that CRM software is only for large or enterprise organizations and not for small businesses. This was the case 2 decades ago and not anymore. CRM Solution now is an invaluable tool that can boost company’s productivity, sales tracking, employee performance, collaboration, etc. Most of the small businesses still tend to rely upon the age old spreadsheets but here are few of the benefits that a CRM software offers for small businesses. How CRM can boost productivity? With Sales Automation using CRM Software, your team can easily perform the sales activities helping them to win more deals. 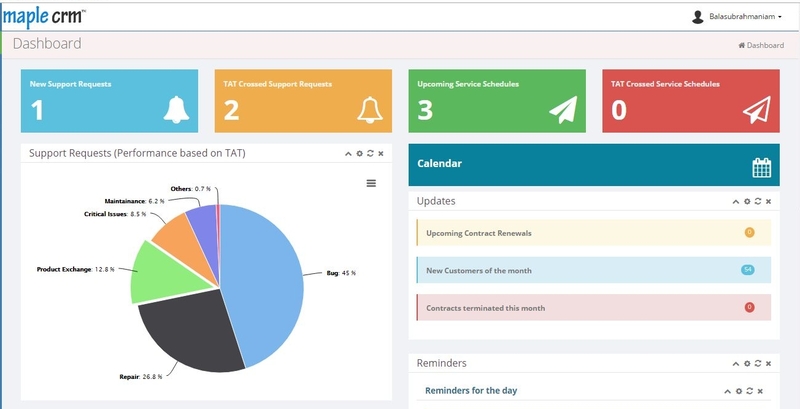 Additionally, CRM software acts as a monitoring tool making your team follow the process and letting you to check whether the work is accomplished and how it has progressed. Many of the times, your team misses the follow-ups or ends up calling the same customer that their colleague did. This can be totally avoided using a CRM software as the system takes care of collaborating your internal with team with the database and allowing them to update every interaction in the software. It is important that the sales team sends proper reports on their sales and activities to their management on timely manner. But the fact that your sales team spends more time in reporting than their actual work remains true. CRM solutions comes handy here as it records every call and interactions of the customer and that is stored in the database for easy retrieval anytime. Your sales team can download the report at the end of time or the management can fetch the report themselves making the work process easier. With multiple deals and customers to work, is your team making proper follow ups with potential customers? Enable your team to identify the targeted leads to reach out to them for sales. Many automated sales systems, lead scoring techniques enables this helping in easier segregating and targeting sales leads. 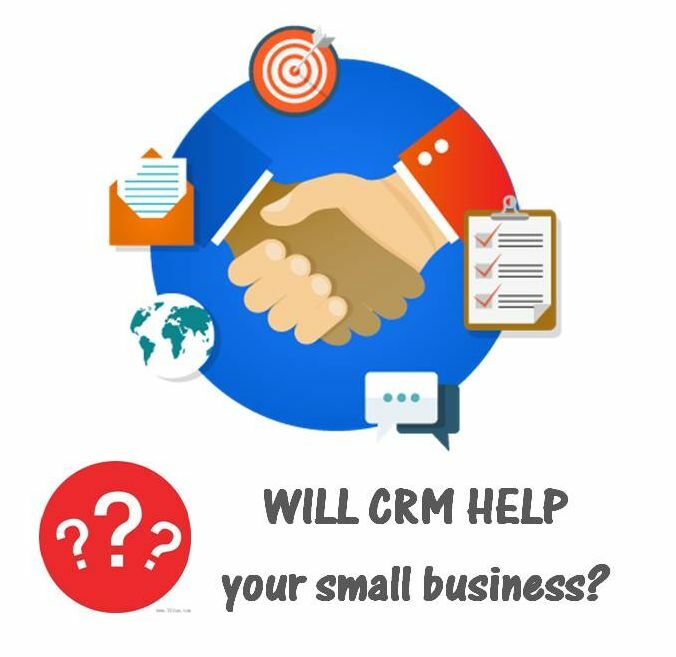 How to choose a CRM software for small businesses? Customer Relationship Management (CRM) Software concept dates back to 20 years before when these systems were built only for large companies and enterprises. Many organizations developed their own customized systems as per their need and invested huge amounts in both developing and running it. Times have changed and so is the CRM concept. Now CRMs are widely used across different verticals by small as well as medium level organizations. Different CRM providers offer various solutions that can fit into various level of business process. Additionally, the costing for these CRM solutions has also rapidly decreased and there are no huge investments required now. With the evolving technology, online CRM systems now come with subscription model which allows any company to subscribe for a CRM software for a very loss cost. The solutions are referred to as Software-As-A-Service (SaaS). With SaaS model, the procurement or ownership concept has been replaced with subscription & service outsourcing concept. With this new model, there is no necessity to incur major costs on ownership, software or hardware upgrades or even troubleshooting. Major concern in this model, is the hosting of application and data with the CRM service provider. Most SaaS providers operate on public domain in managing the organization or client’s application and date. However, there are companies using secure channel by hosting the application on private servers rather than public. This would be one of the point to be considered when choosing CRM solution for your business. 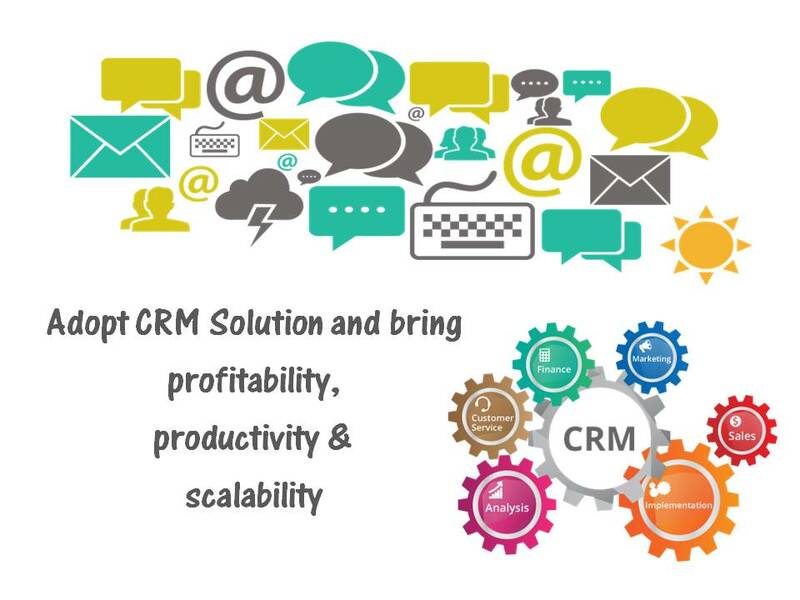 A CRM solution need not be complicated with multiple features and functions which is not of any help to the business. Especially small businesses need to really opt for one that has the features that is required for their everyday business activities. Since they would have limited resources, they cannot really waste time of unwanted modules and training. The implementation and the support must also be simple instead of spending months of time in installing and getting it started. It is important to draft a plan before going ahead to choose CRM solution. List the functional requirements of the business and keep it realistic. Are you looking for Contact Management? Would you need Automation in the Sales process or you are going to keep in manual within your team? Do you want to use CRM to manage customer interactions and track sales progress? Once you have the list, you will be clear on what type of CRM system is required for your business. You would not need to shell huge money on the ones that is not needed. You are a small business today. Where would your business be in the next 3-5 years? As you grow, the CRM solution also should keep running with you. It must be able to scale to meet the business growth requirements including expanding workforce or customer database. Ensure that the CRM solution that you opt is flexible and scalable for such upgrades instead of getting your CRM systems replaced every now and then as that would result in disasters.